Family History Films was started by the founders of two leading production companies, Paul Hurley and Jon Bell, who have a collective wealth of experience in creating and managing content for broadcasters, leading corporations and consumer brands. Fluent in French and Italian, Paul's corporate career saw him running programming for BSkyB and entertainment at Yahoo! before setting up his own successful video company, with clients including the NHS, L'Oreal and Virgin. 'Nothing has been as fulfilling as making Family History Films', says Paul, 'the joy these films bring to people is extraordinary'. Jon is co-founder of Family History Films and has a passion for modern history. His commercial background includes business start-ups and more than a decade producing corporate films for major businesses and brands. He started researching his ancestry aged 16 and still wants a film about it for his birthday. 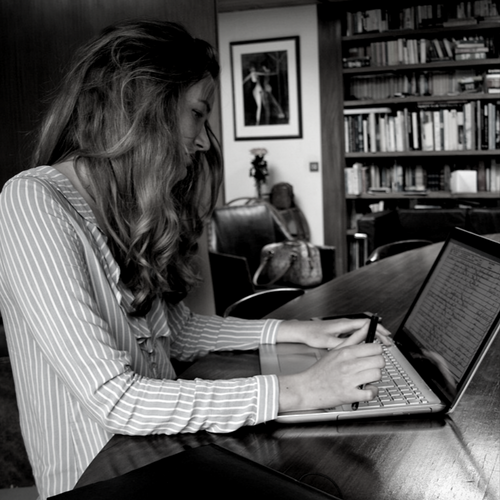 After graduating from Oxford with a degree in English language and literature, Eve has worked on numerous scripted broadcast projects, and liaises with our clients to find and write their extraordinary stories. Our international team of professional researchers and production experts includes the world class historical research credentials and academic network of Dr Nick Barratt who, among other broadcasting assignments, led the research team for the successful BBC TV series Who Do You Think You Are? Our shared passion for bringing history to life combine with a unique breadth of resources and depth of expertise to create beautiful and compelling individual programmes in around six weeks, for a fraction of the cost of a TV programme.